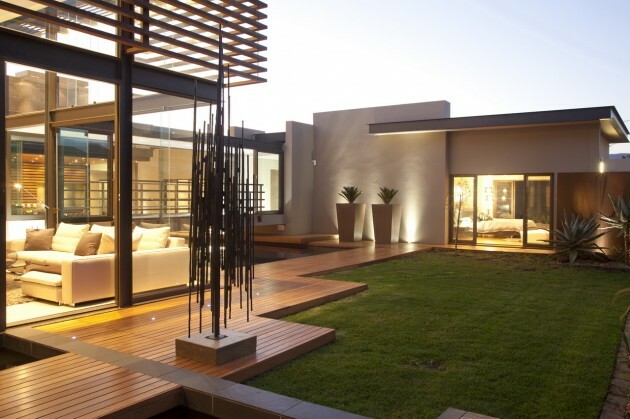 When Nico van der Meulen Architects was called in for the additions, alterations and renovations to an outdated face brick house in Limpopo, the most obvious factor to take into account was the excessive heat. 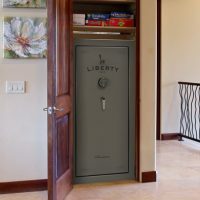 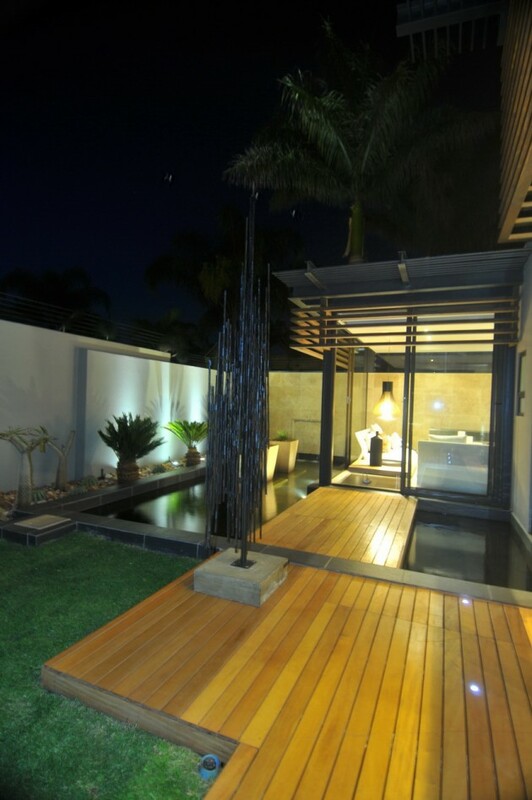 This project required optimal solutions to ensure it was suitable for the hot conditions. 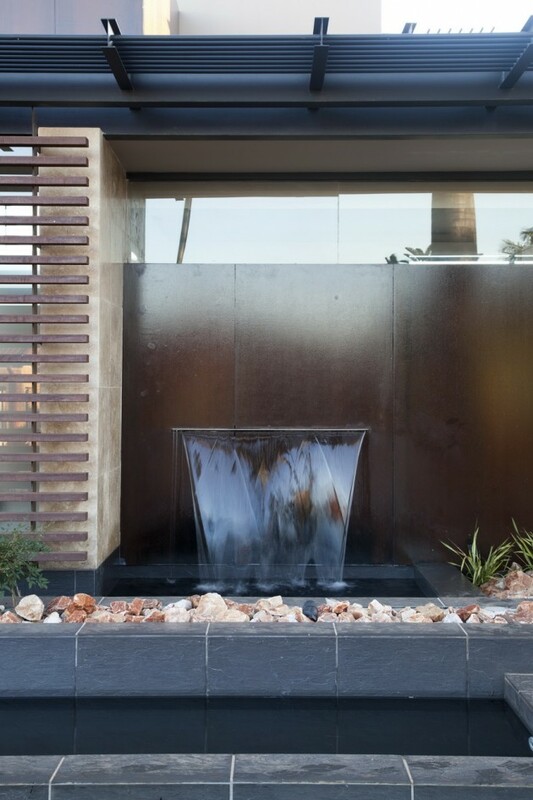 Special attention was paid to the street façade- the water feature and rusted steel create an abstract composition with a steel security screen which opens up to reveal the sandblasted glass front door. 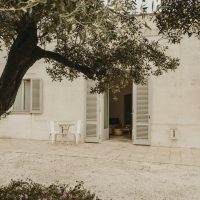 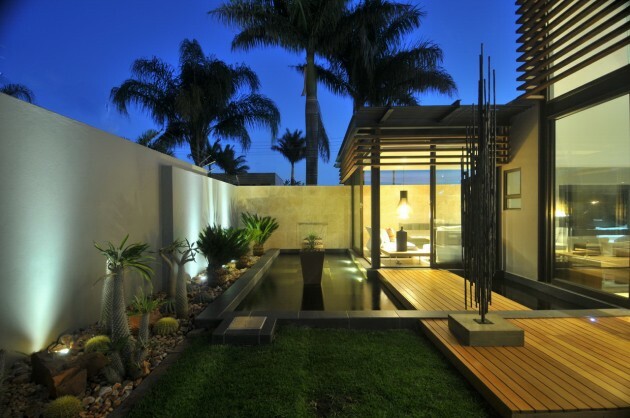 It was critical that the rooms could open up to create indoor- outdoor living, integrating with the pool and professionally landscaped garden. 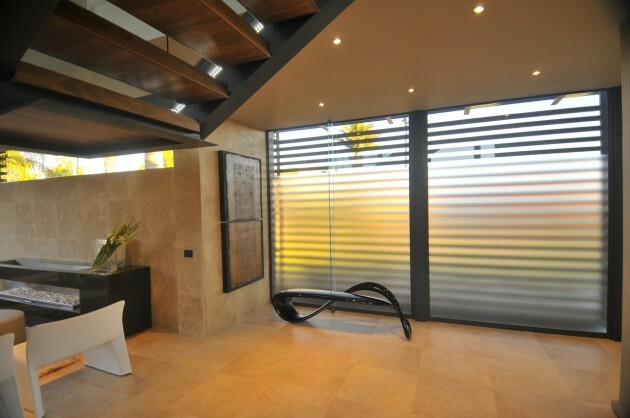 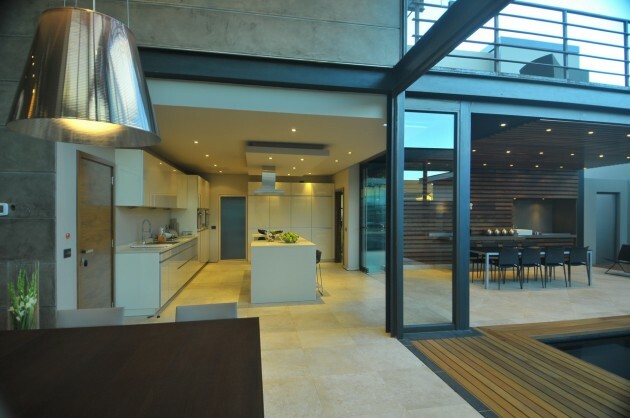 To achieve this, frameless folding doors were used extensively, enabling the house to become a verandah when required. 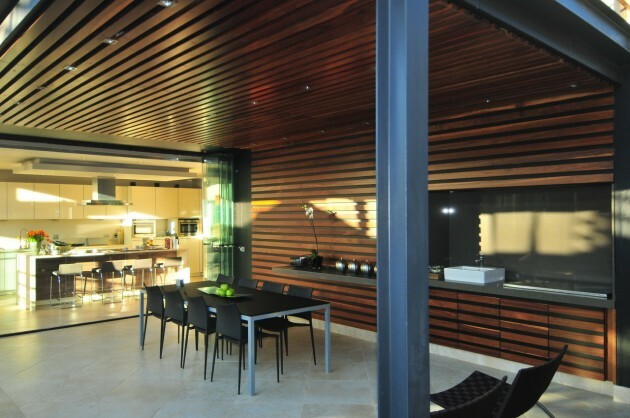 The wall between the designer kitchen and lanai fold open for entertaining purposes. 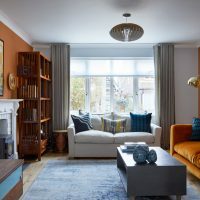 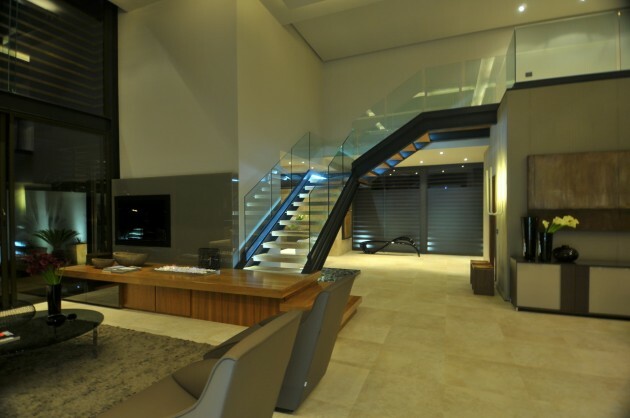 The architect ‘opened up’ the existing living rooms and created double volume glass and steel enclosed spaces, within this area a magnificent and distinctive staircase was designed- it is a major feature within the residence. 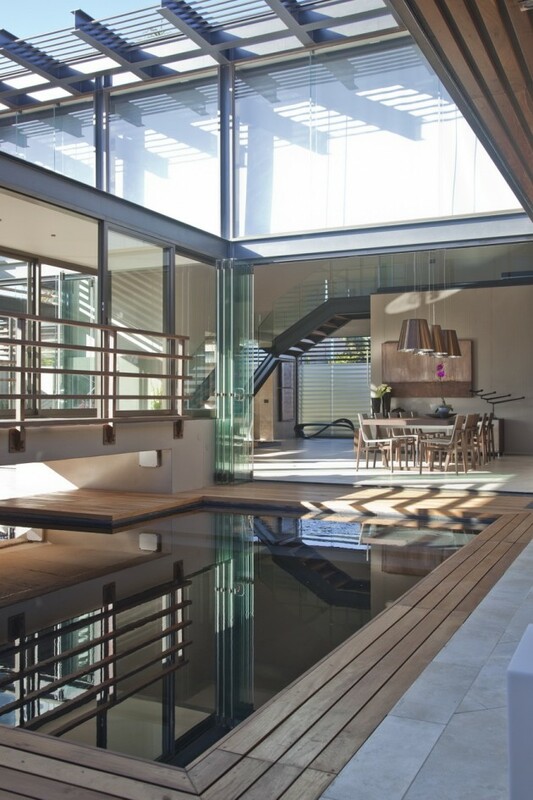 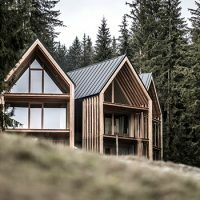 Due to the massive glass walls the house cools down faster in the evening, furthermore this allows the cooling effects of the pool and water features to enter the house. 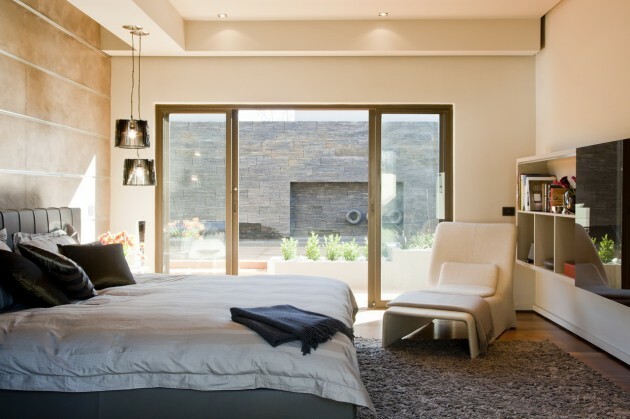 Glass sliding doors situated on both sides of the bedroom wing enable north-south cross draught ventilation at all times. 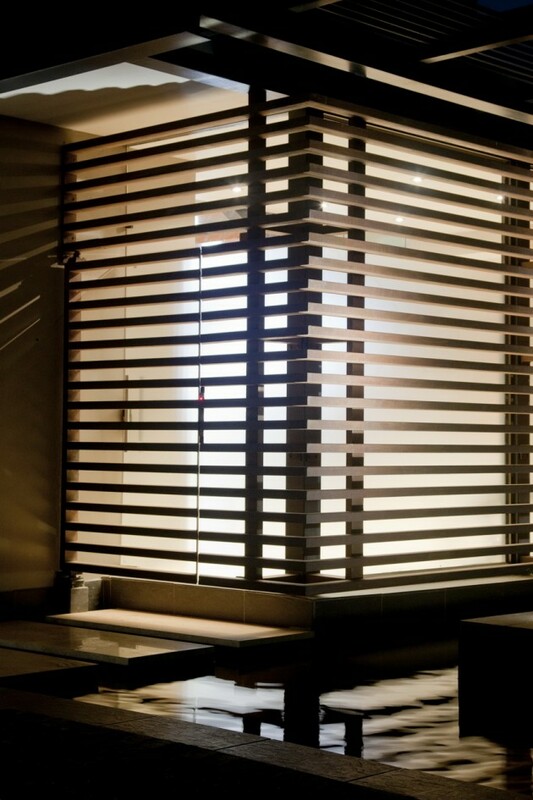 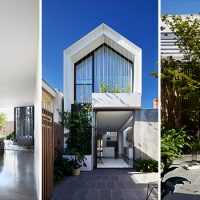 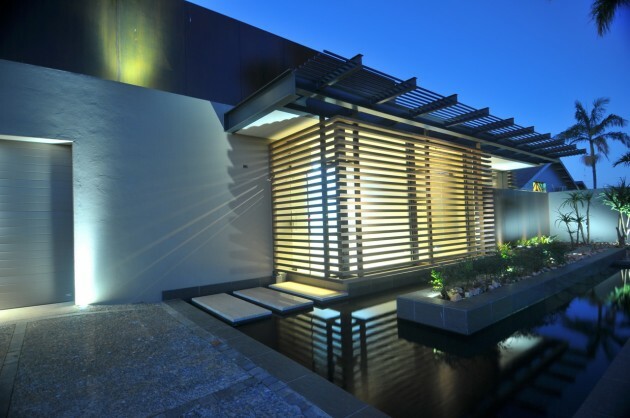 The double volume areas were fitted with vertical steel shutters for sun control, as well as a brise soleil. 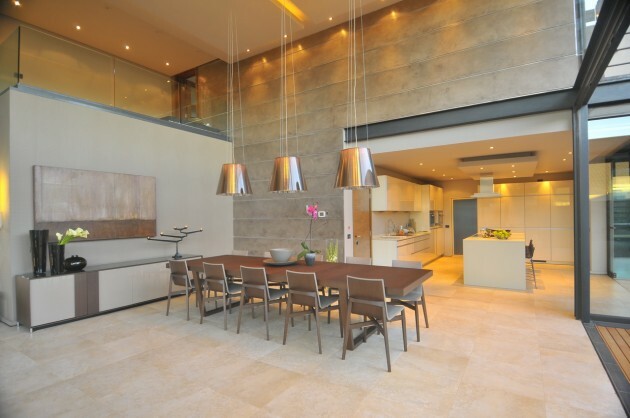 M Square Lifestyle Design was responsible for the interior design, creating creative and inspiring areas all over the house. 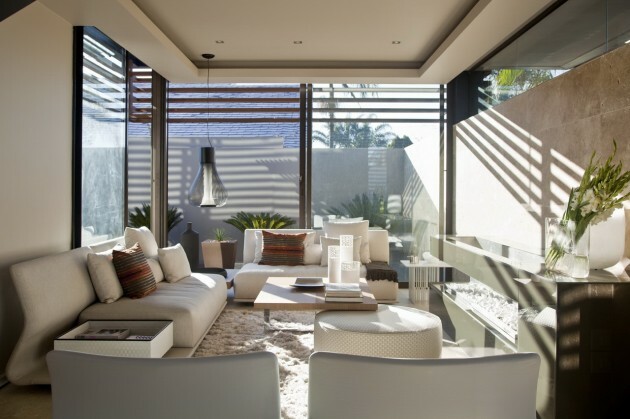 The furniture is from Molteni and C, Floss, Kundalini and Royal Botanica outdoor furniture- all sourced by M Square Lifestyle Necessities. 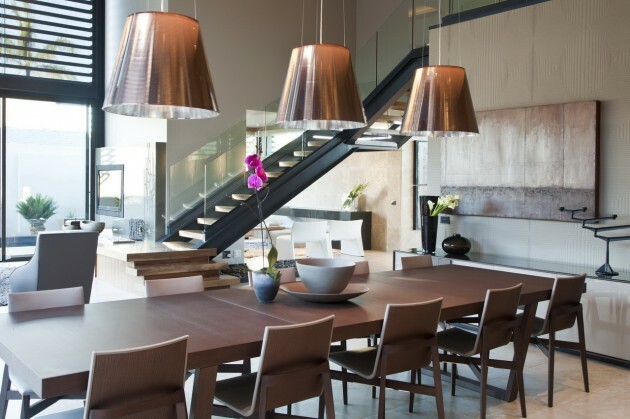 M Square Lifestyle Design is an interior design practice that creates bold and contemporary design solutions, while M Square Lifestyle Necessities is an upmarket furniture and décor showroom with a selection of the finest imported furniture from design studios around the world. 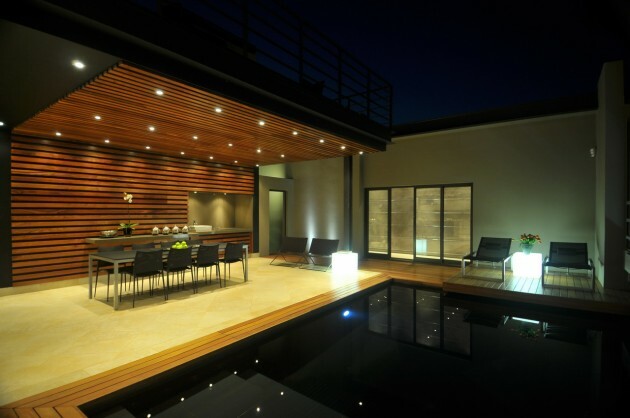 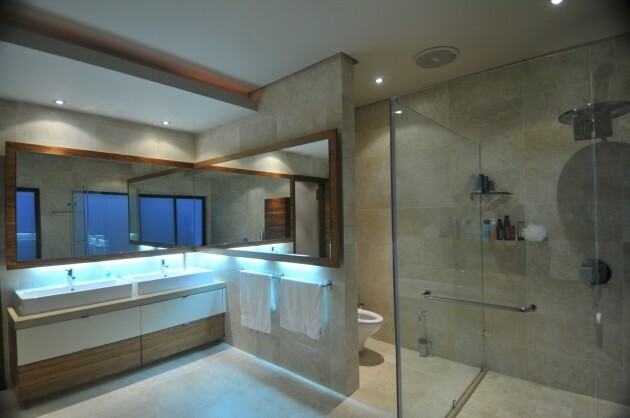 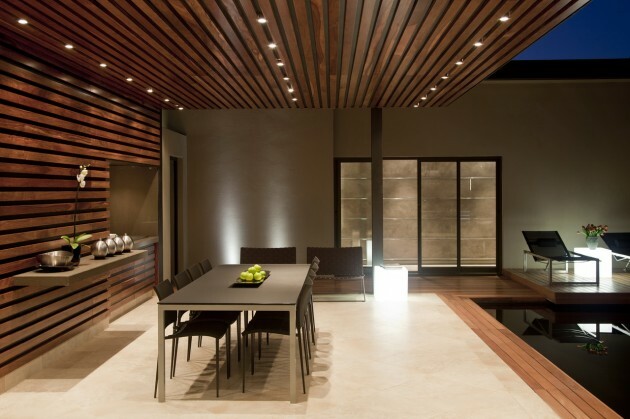 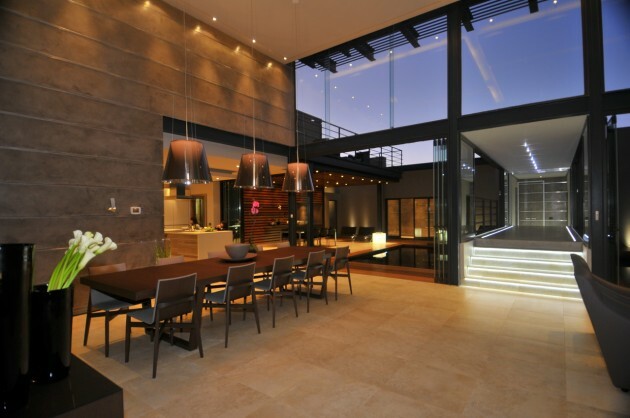 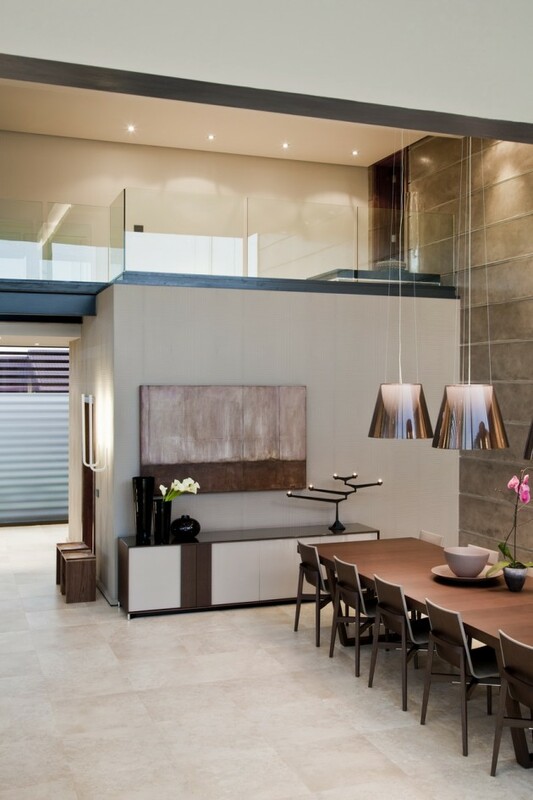 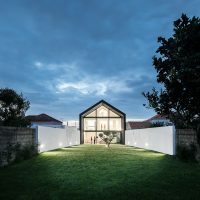 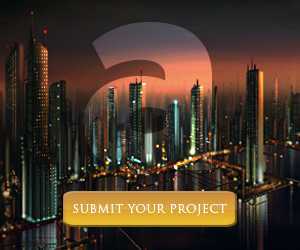 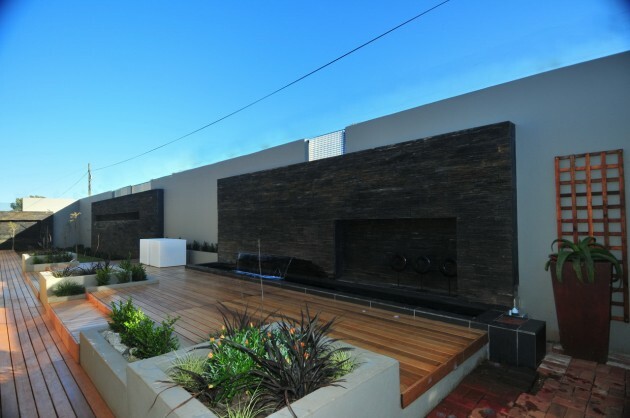 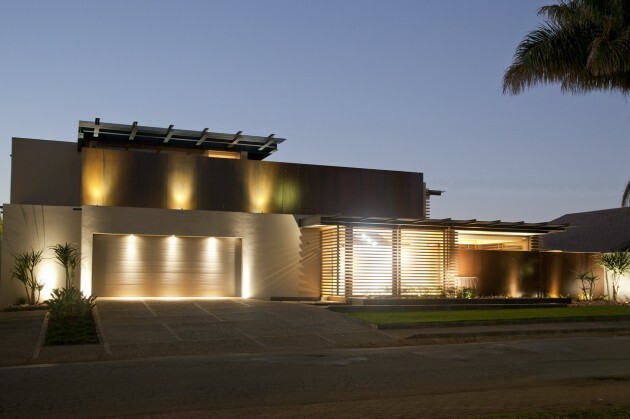 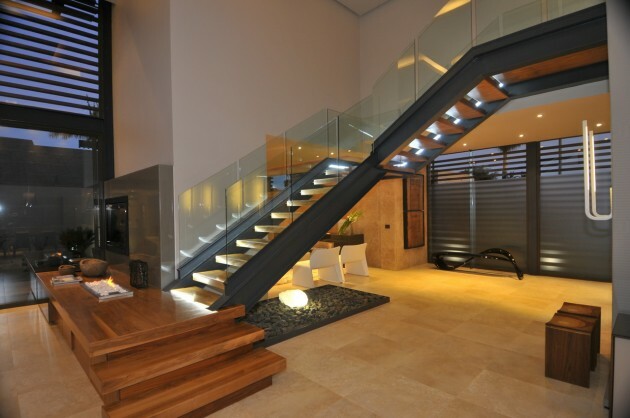 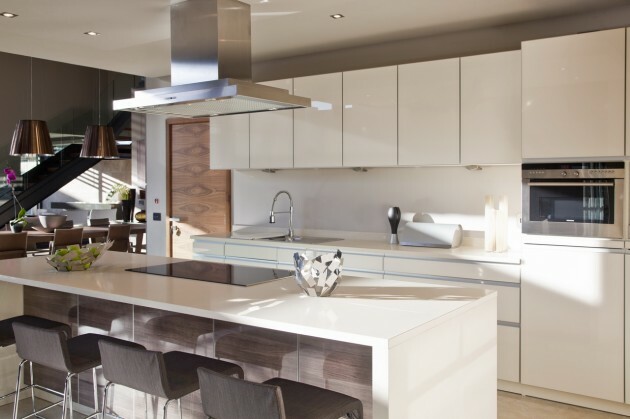 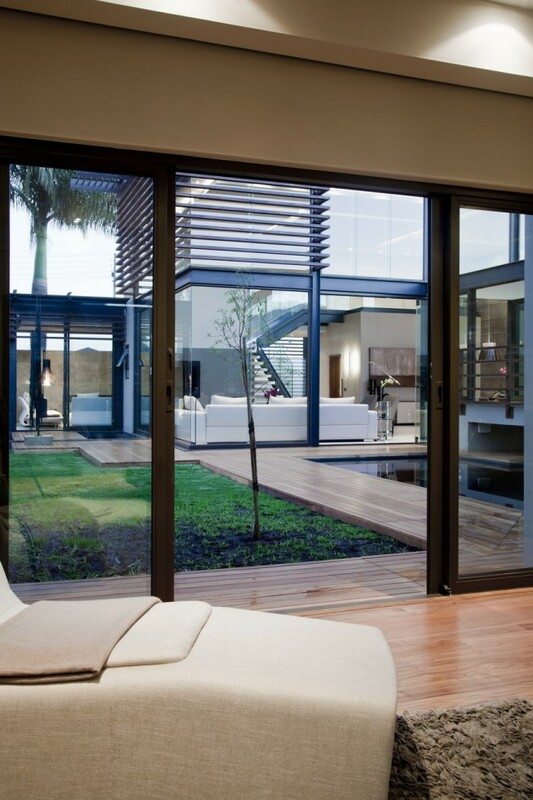 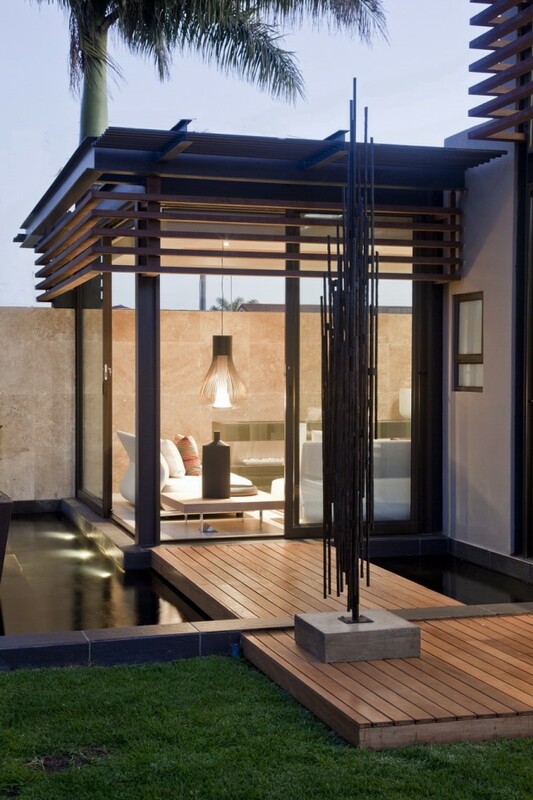 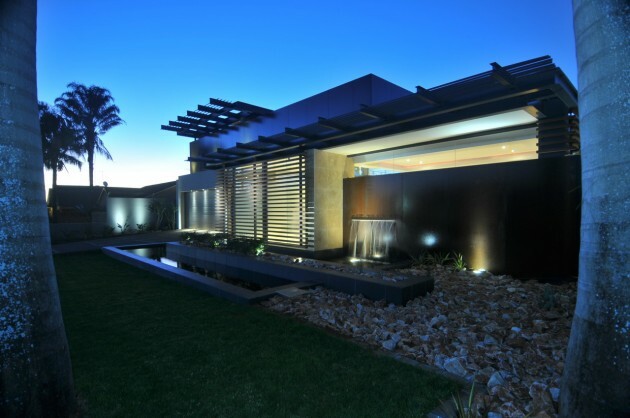 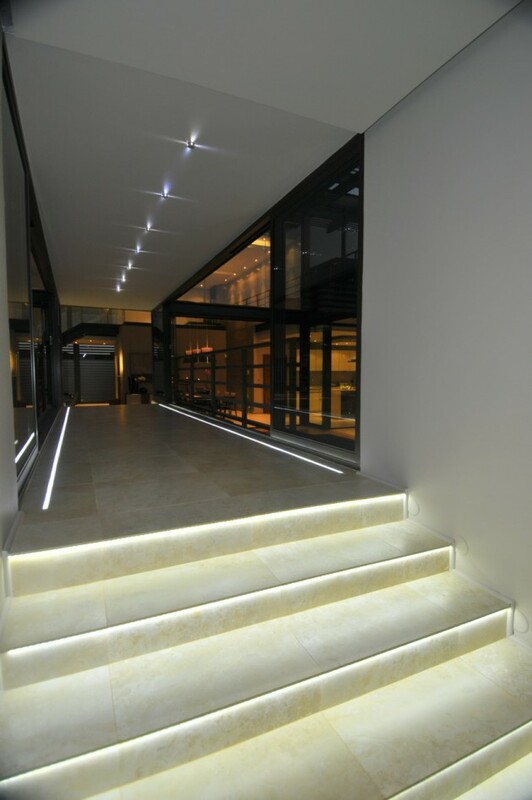 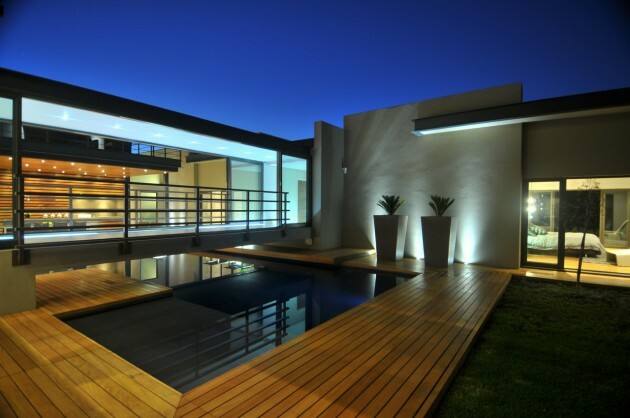 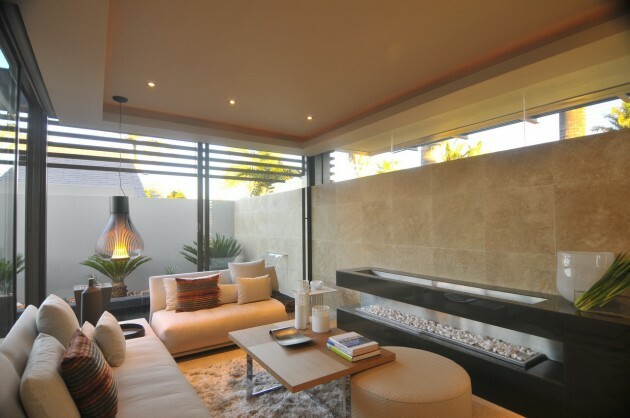 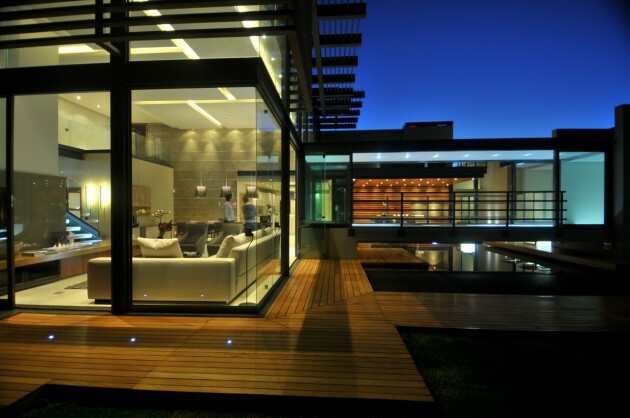 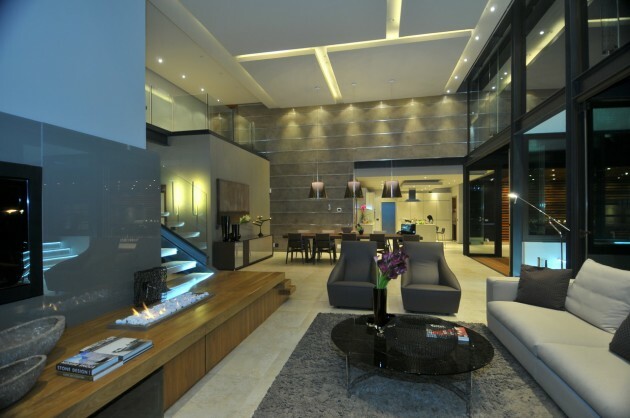 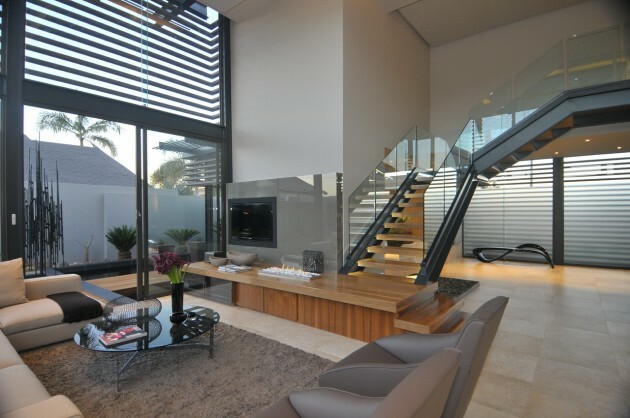 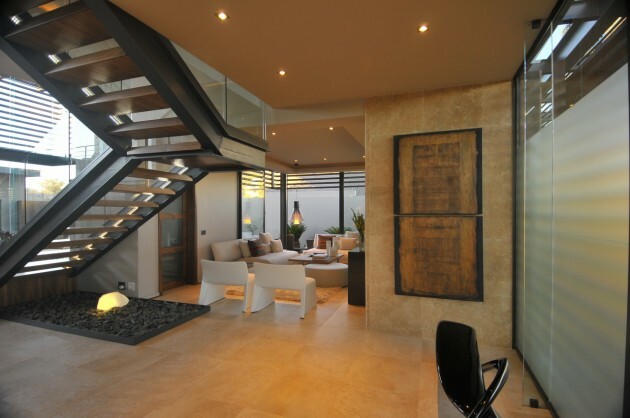 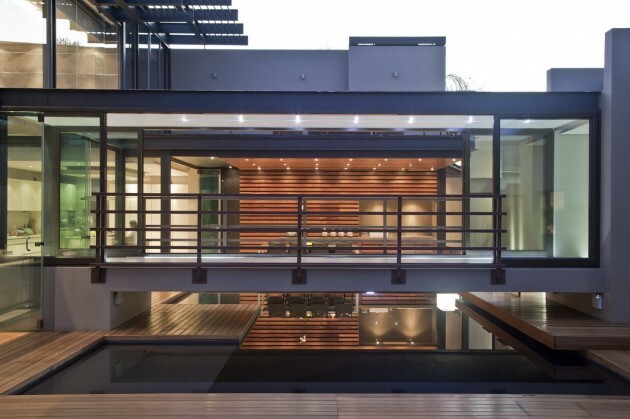 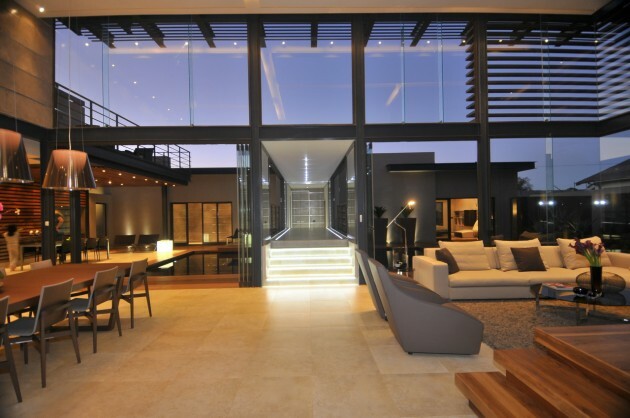 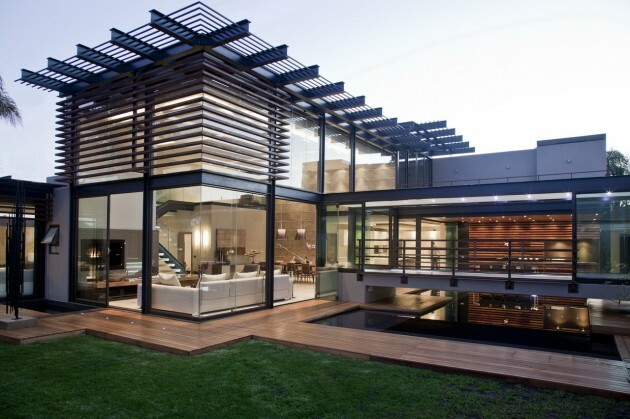 Both companies were established in association with Nico van der Meulen Architects.